For years, coding boot camps have drawn ire regarding their success rates. Many have inflated their job placement numbers or cooked their books using other recipes to misrepresent their success. 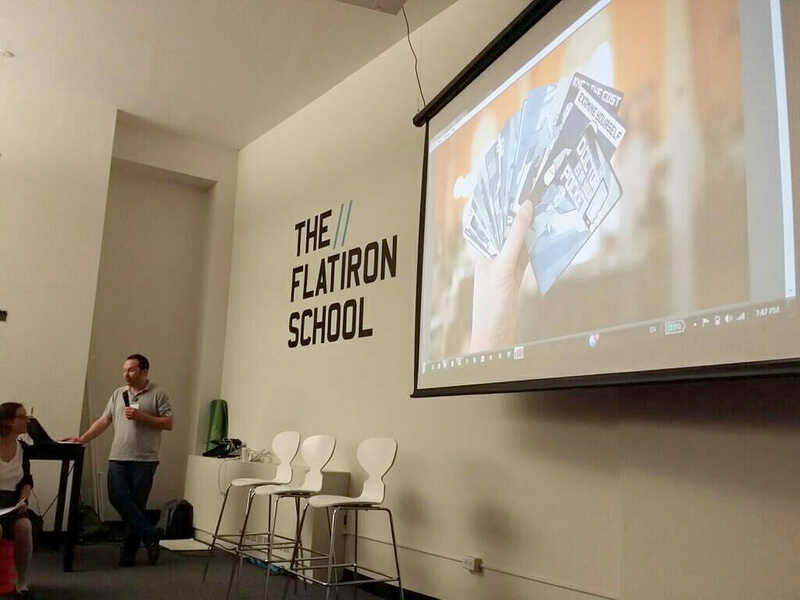 Earlier this month, the Flatiron School, a Manhattan coding boot camp, reached a settlement deal with the state Attorney General’s office. Attorney General Eric Shcneiderman announced that the institution had agreed to pay $375,000 to the state for “improperly” marketing and advertising their job success rate and operating without a license. As Edsurge and others reported, the news is ironic. The Flatiron School had, before the settlement, prided themselves in their accountability and unbiased reporting of their graduates’ success. They were the first coding boot camp to release a credible report back in 2014. In 2015, they collaborated with “Coder-in-Chief” former President Barack Obama to agree on a metric to assess their efficacy. Based on this history, it seems strange that New York State would target the Flatiron School. But here’s the thing that nobody is talking about: they also operated for years without a license. “[F]or-profit coding schools must comply with state requirements, including obtaining a license before operating,” said Attorney General Schneiderman. For-profit education licenses in New York are distributed by the State Education Department (SED). New York residents, at least, can rest assured that their elected officials are keeping half an eye on the online for-profit. But there’s little indication that the same could be said for other states. Regulation of the for-profit education industry has traditionally been carried out at the state level. The 10th Amendment states that “powers not delegated to the United States by the Constitution … are reserved to the States.” The federal government did begin to regulate somewhat in the ‘60s under President Johnson, but compared to other industries, measures are significantly light. The for-profit education industry has undergone turbulence lately with a downturn in traditional colleges like the University of Phoenix and the explosion of online non-accredited degree providers. Some sources expect the global eLearning market to grow at a CAGR of 17.81% between 2017-2020 into a mutli-trillion dollar industry. It’s true, coding boot camps only make up a portion of the market, but many other entities provide a similar product. Online educators like Udacity and Coursera are both valued at around $1 bn. Many MOOC providers and their analogues are also for-profit entities and need to obtain a license. Despite this success in the industry, regulation is still left up to states. The Obama administration made several efforts to protect students from dubious for-profit institutions. The U.S. Department of Education recently imposed sanctions on two chains—Corinthian Colleges and ITT Tech—both of which folded soon after. But the former administration never switched their focus to entities like coding boot camps or other types of online educators. The settlement with the Flatiron School marks the first stab in the attempt to oversee the operations of the multitudes of for-profit educators that have sprung up in recent years. In terms of regulation on a national level, it isn’t hard to see which way the wind is blowing. The Trump administration has made their commitment to deregulation clear time and time again. Education Secretary Betsy Devos has begun work to dismantle many Obama-era regulations. The examples are numerous. For one, Devos appointed Julian Schmoke Jr. to lead the watchdog team that checks for evidence of fraud in higher education. Schmoke is an industry insider and former dean of DeVry University, whose parent company reached a $100 m settlement with the government over allegations that the company overstated their own job success rates. If regulation of the industry is left up to the states, then online for-profits should have little difficulty getting around them. They will be able to found their businesses in the state with the most lax regulations and reach anyone around the world. Until the federal government steps in, nobody will be able to ensure education quality or successfully implement certain standards.